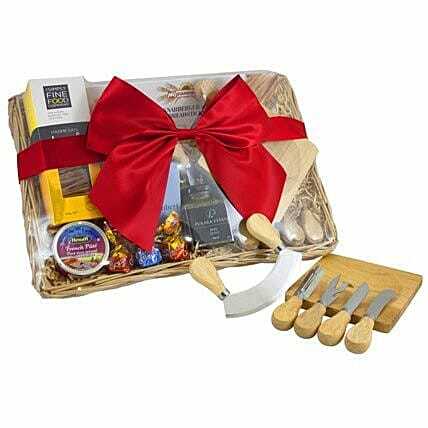 The cheese board and knives set is the feature of this lovely gift basket. Complete with our favourite picnic items including Lavoche crackers, cheese, pesto and pate...this gift gives more than your average gift. A great gift that will be cherished and remembered. 1 180g jar of Pukara Estate's premium basil pesto from the famous Australian Hunter Valley. A locally sourced Basketville selection.